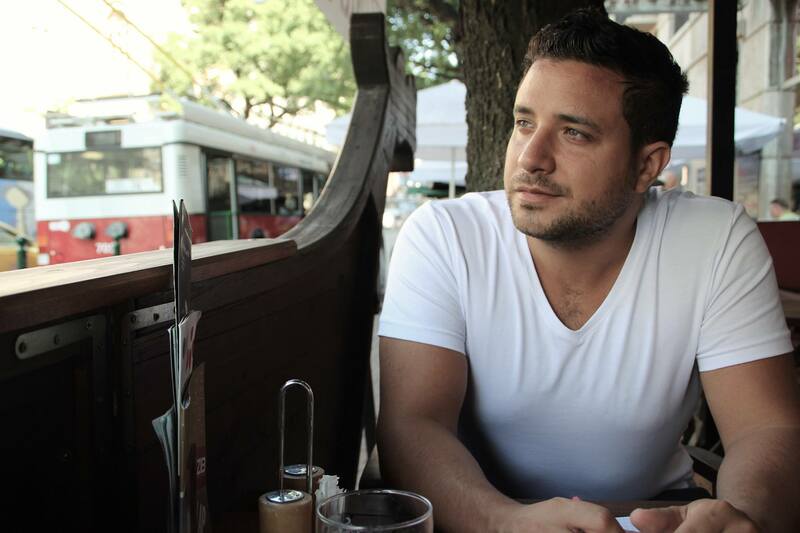 Luca Lampariello is a well-known Italian polyglot who speaks 12 languages fluently, including Russian. He posts advice on how to learn new languages in his blogs. He told us in magnificent Russian how he had managed to learn the language, what he thinks of Russians and Russia and what he plans on learning in the future. RBTH: When and why did you start learning Russian? Luca Lampariello: I started learning Russian 12 years ago. In the beginning I just wanted to learn a new language, one that differs from the other European languages that I knew at the time. I wanted to understand the structure of the language. Then I met a young Russian lady and my objective changed: I wanted to socialize in Russian. RBTH: What is the most difficult thing about Russian? L.L. : Definitely the cases. But also the grammar in general. Also, pronunciation is difficult in Russian. But being Italian, pronunciation comes easier for me. We have many similar sounds. Regarding the grammar, the problem’s not that in Russian it’s difficult. The problem’s that many people who study Russian do not have an approach to studying it. The most important thing here is method – you need to know how you will study the language. Learning grammar comes when you use the language every day. You just need to socialize as much as possible. RBTH: What advice would you give a person who is about to start learning Russian, and basically any other foreign language? L.L. : The first thing is motivation. You must have a clear idea of why you are learning the language. Secondly, you must prepare yourself psychologically. Many people are afraid to leave their comfort zone. They say: "I won't be able to. I can't remember words and so on." You have to understand that any language can be learned. There is nothing impossible. The important thing is to find your own method. Thirdly, don't force yourself. Learning a language must be a pleasant experience. You shouldn't force yourself to do that which you don't want. The problem with schools is that they force children to learn languages and this is not right. Consequently, many children lose the desire to learn languages for the rest of their lives. On the contrary, in natural habitats children learn languages very easily. They just speak them and remember everything. And finally, a new language is the key to understanding a new culture and the people from that culture. RBTH: Has knowing Russian helped you better understand Russia and Russians? L.L. : Of course. Russians are convinced that Russian is a very difficult language and when they hear a foreigner speaking Russian to them, they are amazed. To know and understand Russians, you must speak Russian. You must also be in Russia and be surrounded by Russians. It is a completely different way of socializing when you speak their language. RBTH: How often have you been to Russia? What were your impressions? L.L. : I've been to Russia four times. I really liked it there. When I first came I said: "Wow." This is such a big and beautiful country. I have a spiritual affinity with it. In general, Russians and Italians have a lot in common. When I came to Russia for the first time I was amazed by the amount of snow on the streets. This was the end of March. From Moscow, which still had some snow in some places, I traveled to St. Petersburg and was shocked to find even more snow there. I had never seen so much snow, what's more at the end of March! I was also very impressed by St. Petersburg itself. I really like this city. When I first came to Russia I spoke Russian a bit but after that trip I wanted not only to speak, I wanted to be in control of the language, be a part of the culture. In Russia I visited not only Moscow and St. Petersburg but also small towns such as Serpukhov. In the future I’d like to go to Russia again. I really want to visit Kazan. I've heard that this is a very beautiful and exciting city. RBTH: You’ve had a Russian girlfriend. Are there any things in particular about Russian girls? L.L. : I can only say that Russian girls are indeed very feminine and attractive. In my opinion, in terms of interaction between the sexes and the organization of the family, Russia reminds me of Italy 40 years ago. Here people think differently. There are concrete roles – the role of a man and the role of a woman. RBTH: Which language are you studying now? Which languages do you plan to study in the future? L.L. : Right now I'm studying Hungarian. I also want to improve my knowledge of the languages I already know. For now I don't intend to take up any new languages. But who knows? It always turns out that I don’t choose the language, but the language chooses me.